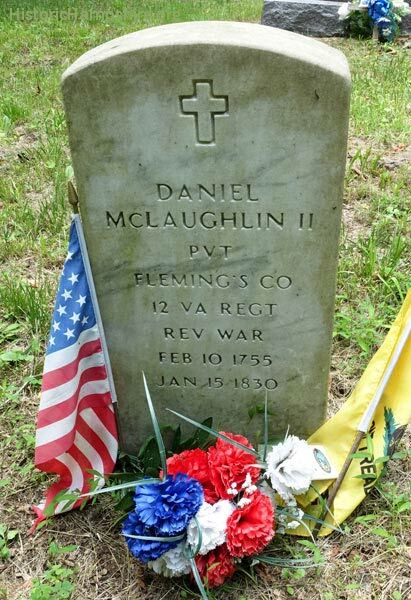 Daniel McLaughlin II: born Feb 10, 1755; died Jan 15, 1830; "PVT Fleming's CO. 12 VA Regt Rev War". About 10 unmarked fields stones including Daniel's parents. 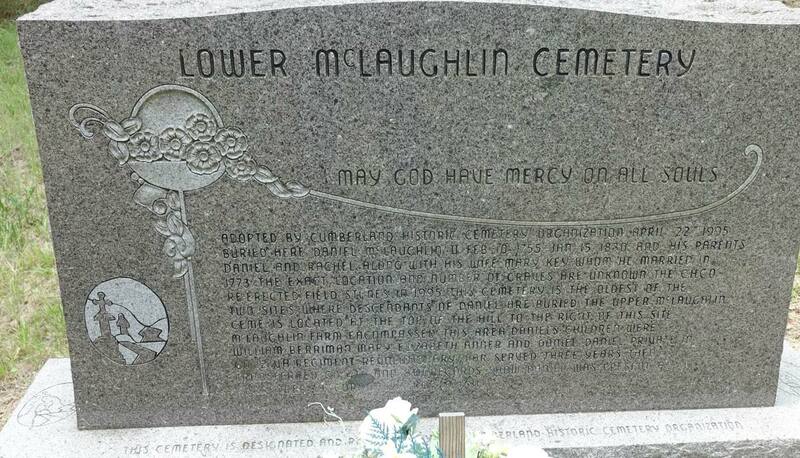 "Adopted by Cumberland Historic Cemetery Organization April 22, 1995. Buried here Daniel McLaughlin II Feb 10, 1755 -- Jan 15 1830 and his parents Daniel and Rachel; along with his wife Mary Key whom he married in 1773. The exact location and number of graves are unknown. The CHCO re-erected field stones in 1995. 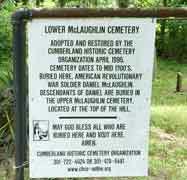 This cemetery is the oldest of the two sites where descendants of Daniel are buried the Upper McLaughlin cemetery is located at the top of the hill to the right of this site. 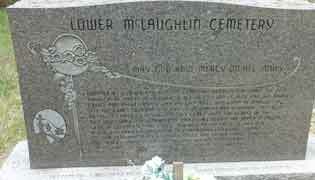 McLaughlin Farm encompassed this area. 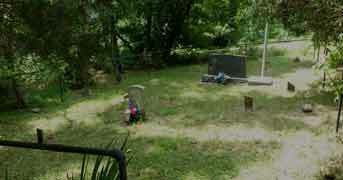 Daniels children were William, Berriman, Mary, Elizabeth, Anner, and Daniel. Daniel- Private in CO 12 VA Regiment Revolutionary War served three years then transferred CO 4th and 8th records show Daniel was present at Surrender of Cornwallis Oct 19, 1781". 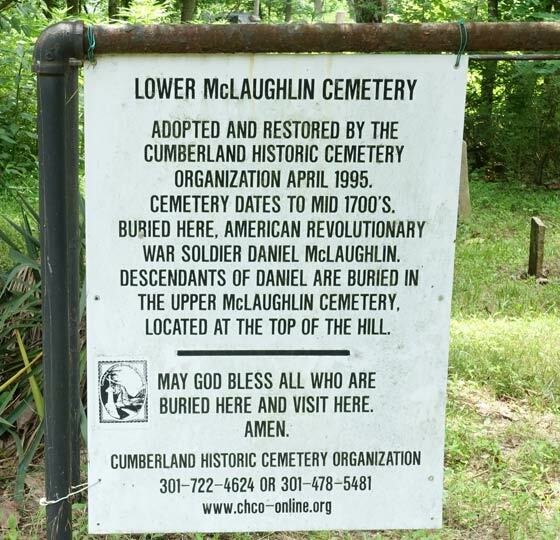 "This cemetery is designated and protected by the Cumberland Historic Cemetery Organization". "Flagpole Erected For All Souls -- Day Nov 2, 1995 and denoated by Woodman of the World Lodge 6 -- Cemetery Restoration during 1995 in Memory of Evelyn McCann and Richard Light".